Your sturgeon and koi farm in Iserlohn since 1926. As the demand for large colorful fish grew at the end of the eighties, we also started to breed cichlids. 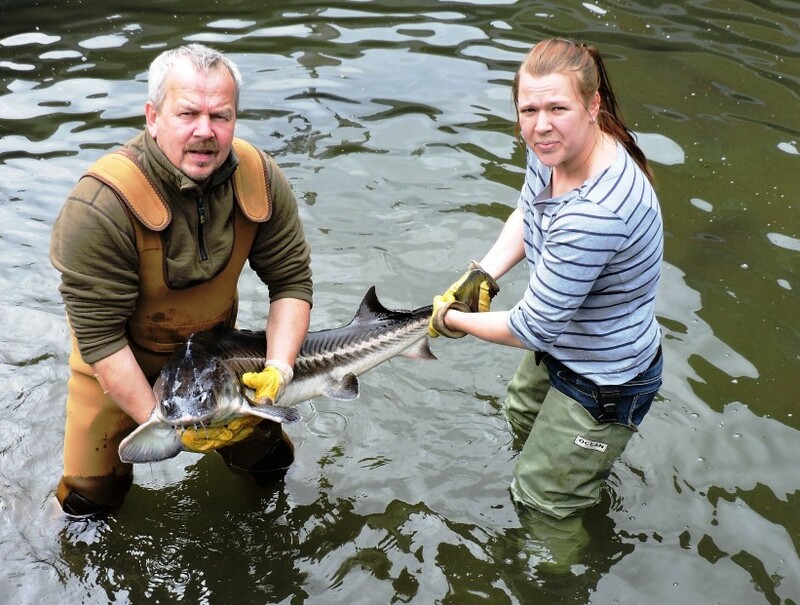 Sturgeon breeding has been a speciality of Fischgut Primus for years. Pond and bio pot fish, ornamental fish, sturgeon, molluscs, crabs, up to aquatic plants and more. 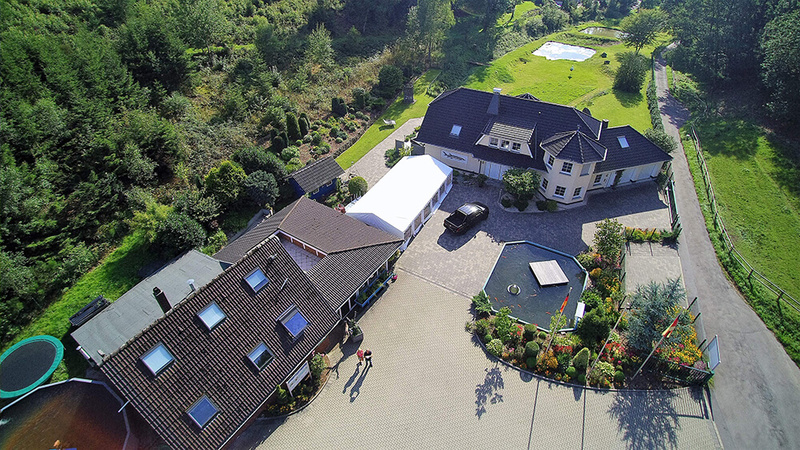 We can deliver stock fish from our set fish farms Iserlohn and Hövelhof to the whole of Germany with our own vehicles. The direct marketing of fresh fish, smoked fish, as well as a further refinement of food fish takes place directly in our plant. We are looking forward to your visit! 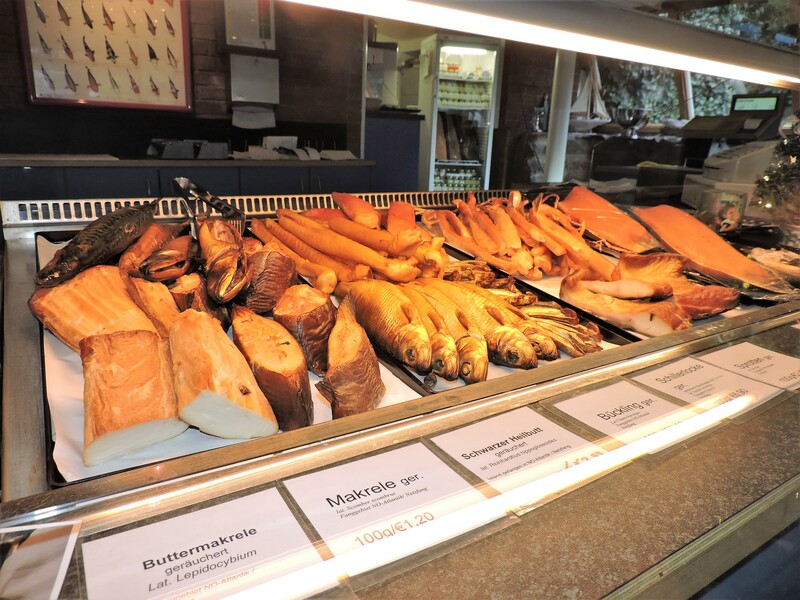 Real caviar from the Sauerland – is that available? 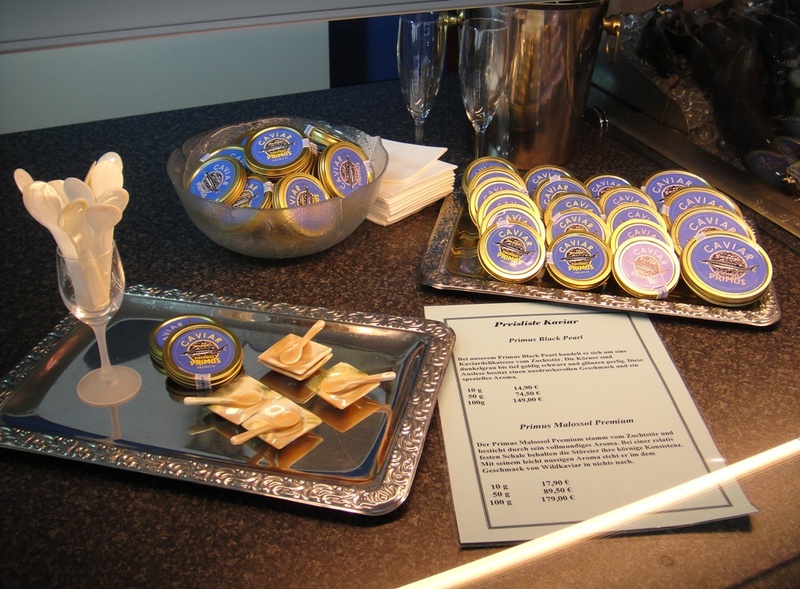 At Fischgut Primus in Iserlohn you can experience caviar production for yourself and taste our products. 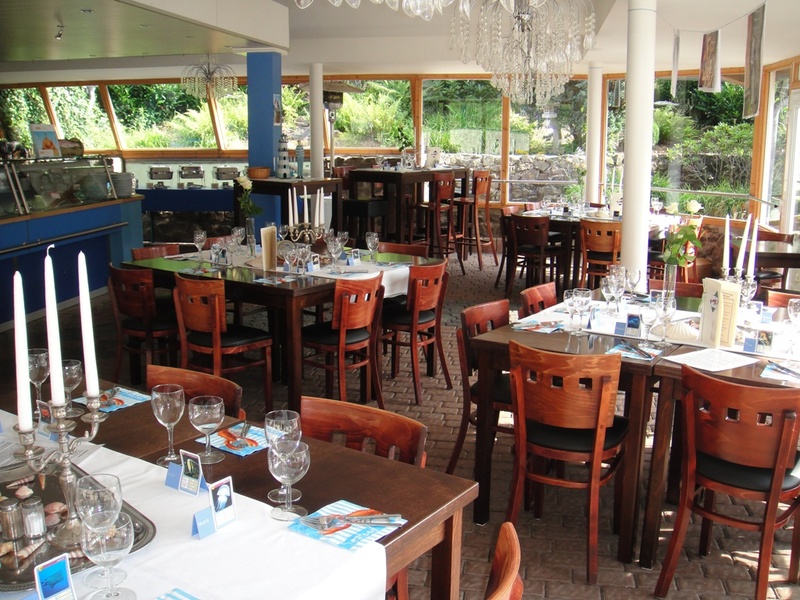 Our Fischgut-Restaurant offers space for your festivities. Warm and cold buffet and à la carte food are waiting for you. Our restaurant must always be reserved in advance! Take a look behind the scenes of an exceptional fish farm, which breeds not only unique sturgeon but also the famous Japanese Koi carp. Since 1926 fish farming has been carried out on today’s Fischgut Primus. Meanwhile we are known far beyond the borders of Germany with our Koi and sturgeon farm, with our food, ornamental and stock fish as well as with our sustainable plant construction.